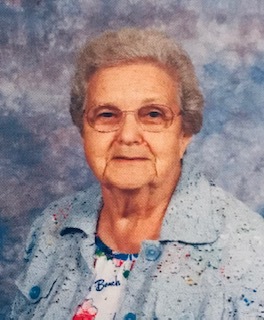 Ellen Gunter Day Whisenant, age 91, entered into eternal rest on Tuesday, February 5th, 2019 at her home in North Augusta, SC. She is survived by sons, Harvey (LeaAnn) Day, George (Scarlett) Day; daughters, Louise (Jack) Anderson, Marie Roberts, Judy Lemon; sisters, Rose Crapps, Louella (Bill) Vaughn; eight grandchildren and many great grandchildren. She is preceded in death by her husbands, Sam Day and Robert Whisenant; and parents, JD and Isabelle Smith Gunter; brothers, Henry Gunter, Floyd Gunter, Trudell Gunter; sisters, Ila Mae Heyward, Bea Boyd; and a great grandson, Zachary Day. Ms. Whisenant worked as a weaver for Graniteville Company and was a member of Clearwater First Baptist Church. She will be greatly missed by all whose lives she impacted in her 91 years on earth. A funeral service celebrating her life will be held on Friday, February 8th, 2019 at Clearwater First Baptist Church with the Rev. John Bolin officiating. The interment will immediately follow at Sunset Memorial Gardens. The family will receive friends from 12:30 until 2pm the day of the service at the church. Pallbearers will be: Tony Roberts, Jack Anderson, Tommy Day, Kasey Taylor, Colby Roberts and Gage McIntosh.